The ears begin their development during the fifth week of pregnancy. Ear formation starts from a few small bulges called branchial arches. Portions of the branchial arches form into structures called auricular hillocks. The auricular hillocks grow and join together to form the outer ears. 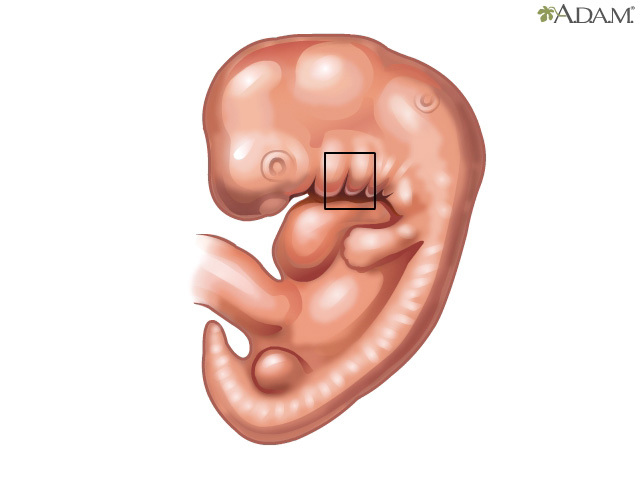 During the fifth month, the inner and middle parts of the ear develop, but won't be completely finished until birth.